The Through The Year collection is so versatile! 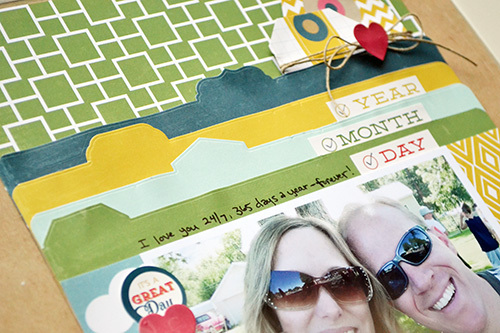 You can easily create seasonal or themed projects, but there are also plenty of generic prints and accents for everyday pages. 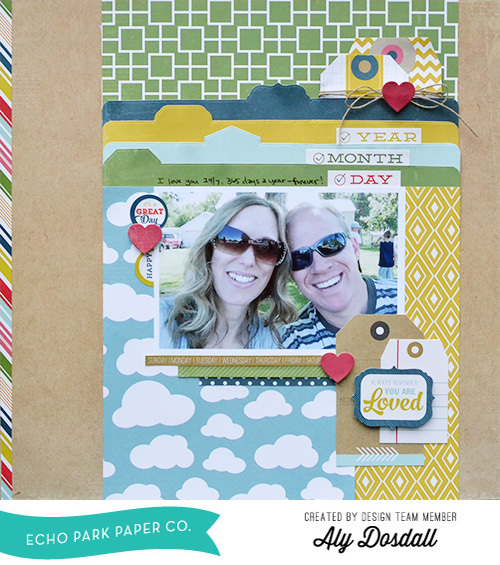 It was easy for me to create this non-themed page using some of the monthly kit and collection kit papers. 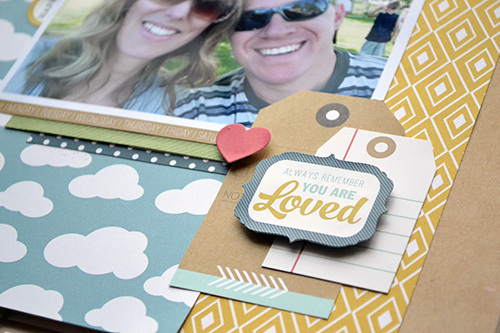 I made the top border of the layout with the adorable File Tab Designer Die Set. Since the dies are only 5 inches long, I used one of the dies with the tab at the far end to make my file tab border longer. For a full tutorial on how to create file tabs longer than the dies you can visit the Echo Park Paper blog HERE. Once I finished cutting all four of my tab borders, I rounded the corners to get more of a file folder look. Then I layered them at the top of my photo mat. To embellish my page I added some tags I cut from journaling cards, some die cut hearts, element stickers, twine, and washi tape.